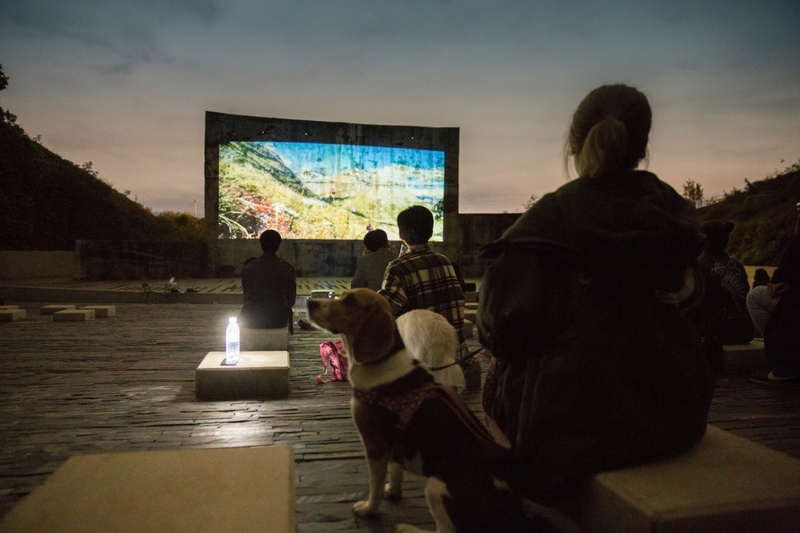 Companion animal culture festival ‘Fallzzack Film Festival’ was held on October 6 and 14, at Sangam-dong culturetank. 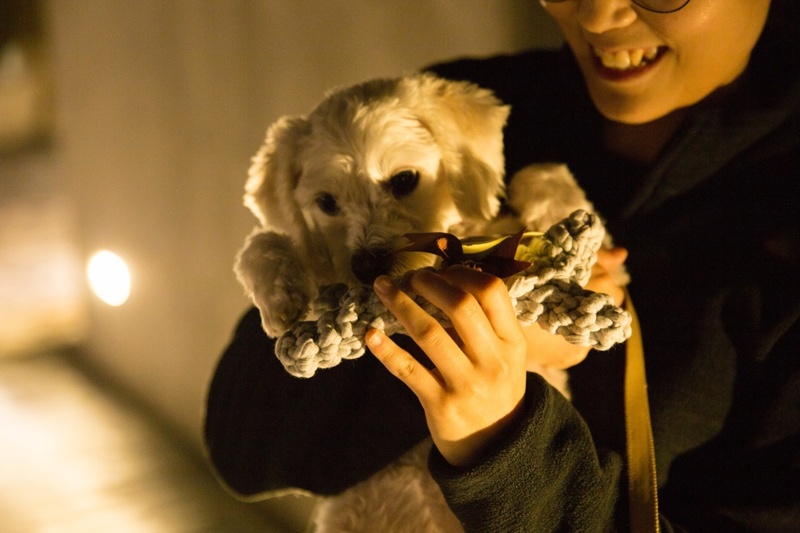 This festival was hosted by ‘new-born puppy cooperative’, consists of four companion animal social venture companies, which were selected as 2018 promotion of creative social enterprises. They are ‘Meilleur’, making food for pets, ‘Doggie’, making defecation bags, ‘Klorenz’, helping independence of shelters for abandoned pets, ‘Bandal Company’, a platform that exchanges pet care. They have common goal of better pet culture. 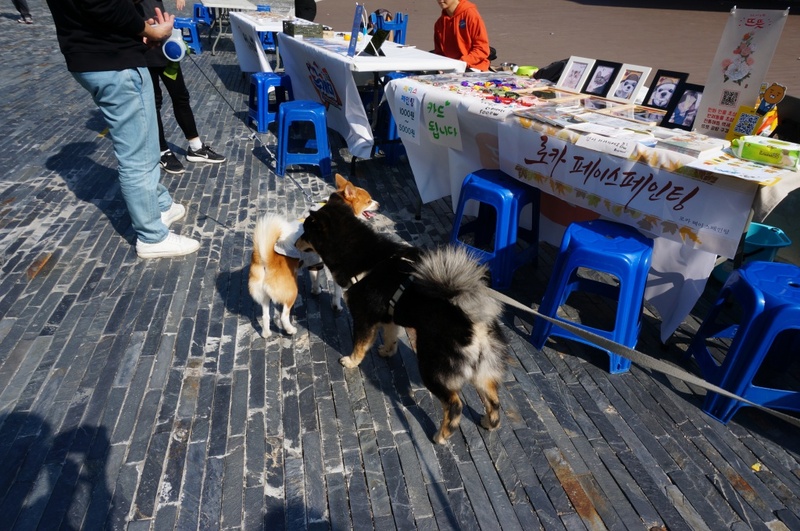 The subject of this festival was ‘proper pet culture’ and there were various programs with pets like stamp tour and making couple nametags. This festival was progressed for two times, due to typoon <Kong-rey>. 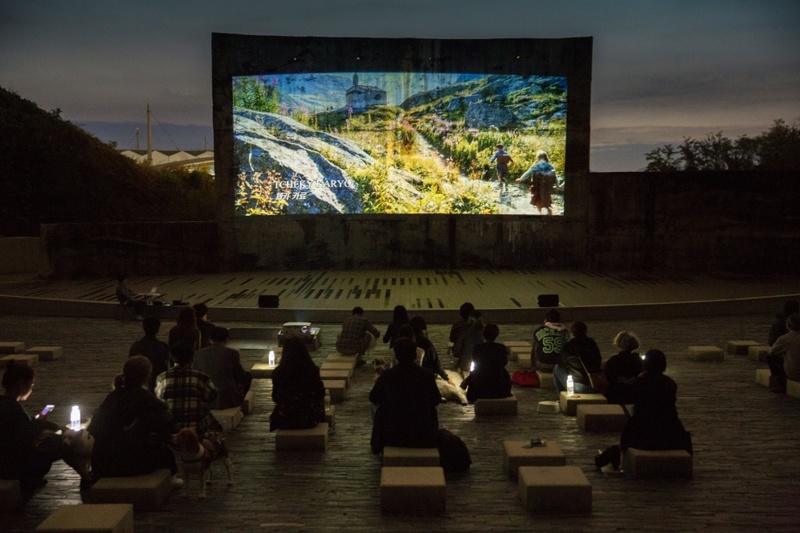 Film festival, watching movie with pets, was held on 6, and experiencing event was held on 14. People with pets started to gather to watch movie. I was quite surprised to see pets watching the screen quietly beside their owners, even though the weather was slightly cold after rain. They could watch movie cozily in warm mood with the sunset. Experience area was prepared to enjoy with pets in festival on 14. 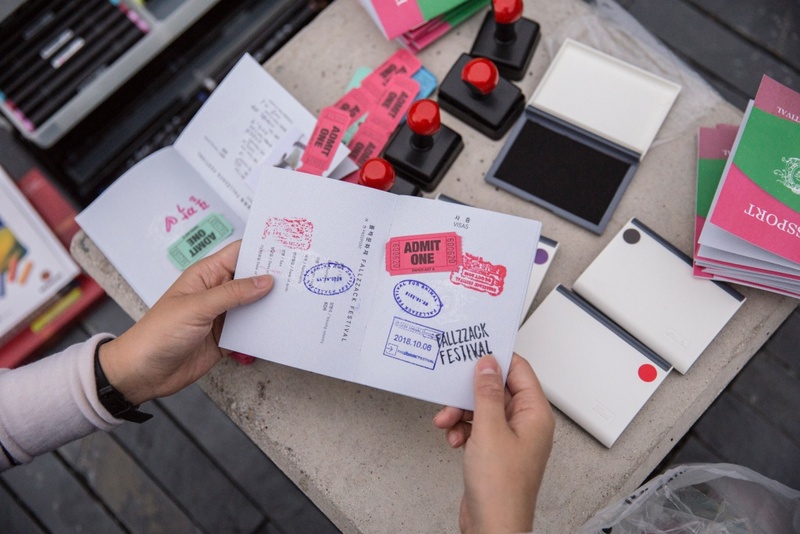 People could enjoy stamp tour to culturetank with animals, photo event, and activity programs. 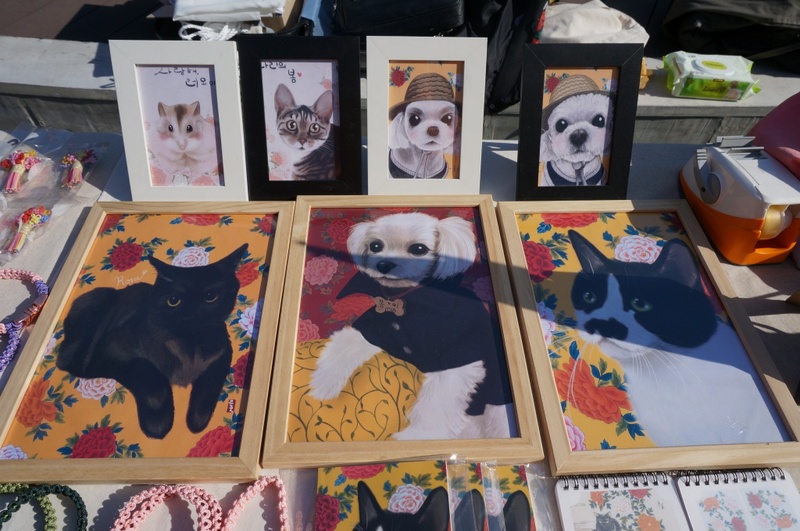 ‘Ttuttut’, an artist who draws folk painting feature portraits for pets, and ‘Together TV’, a YouTube channel which deals with solution from dog problem, with introducing abandoned dogs every Monday, were invited. I was impressed about the YouTube channel that introduces abandoned dogs, while covering this article. ‘Together TV’ provides solution about problems that abandoned dogs can face. I could feel their sympathy and concern toward abandoned pets and growing conflict sincerely. 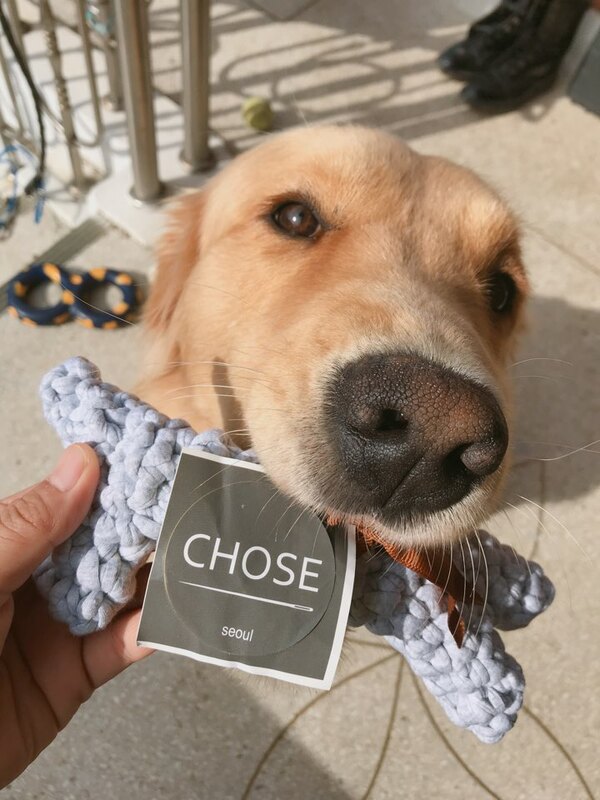 Above this, webtoon author Jindol, ‘IoPET’, that makes product for coexistence with pets, ‘Malli art’, a program that cultural community Malli-dong Art Cooperative manages, participated. The difference between other pet-related festivals was regarding a pet as a member of the society and introducing the service, not just simply buy and raise a pet. I could notice why the subject of the festival is ‘making proper pet culture’. Actual pet owners could concern about problems from raising pets and share solution with others. A membe of ‘new-born puppy cooperative’, Bandal Company’s CEO Seo So Yoon (CEO Seo) said “4 CEOs met every week to prepare this festival, operating each business for several months”. 4 CEOs went through every process for several months from spring to fall, including renting supply for festival booth from Seoul Social Economy Center and transporting directly. I asked some questions to CEO Seo about Fallzzak Festival and the cooperative. Q) How did you come up with organizing this festival? A) I started to prepare for Fallzzak Festival from 2018 promotion of creative social enterprises with CEOs from there. By chance, there were 4 teams about companion animals. That was probably the reason why we felt a lot in common. It was fun that we had different solutions for same problem with same mind. We wanted to make mature pet culture which pets, pet owners, and the others could understand each other. We thought the efficient way for it was a festival and organized it. Q) What would be the good point and lack after the festival? A) The best thing was that all dogs that came to the festival acted mature. Some were so jealous that they usually growl when one gets close to their owner, but when they saw other dogs gathering with others, they calmly played with their buddies. It was sort of debutante of pets. The biggest worry while preparing the festival was safety problem. We placed safety guards for in case pets fight each other or bite others, and brought veterinarian and made emergency booth. However, that worry was put in the shade when we saw pets respect each other and act mature. Population raising pets are getting over 10 million in Korea. Especially, pets are regarded as family members, not just animals living with people. There are many services that considers valuable consumption and life with pets. I could see and feel that sharing is not just sharing people, objects, and space, and I could know the possibility that we can have various sharing culture in future. I prospect the possibility of sharing as infinite. This festival was organized by ‘Meilleur’, cultivates directly for pets and provides healthy feed, ‘Westar’, makes convenient, clean, and environmental defecation bags, ‘Klorenz’, helps financial independence of abandoned animal shelter, and ‘Bandal Company’, a platform that cares for each other’s pets.